Although Kenn Pitt mentioned it briefly in his book "The Pitt Report", it wasn't until 1996 that came to light that Bowie in 1968 had written his own rock opera. Offered for auction at Christie's in London (on June 6th) was a tape and a set of lyrics. The rather bizarre plot of the Ernie Johnson rock opera was described in Record Collector 202, p. 94-95: "Ernie's staging a suicide party, at which Tiny Tim is one of the guests (cue a song); Ernie remembers his passing loves from the previous year; he has a racist conversation with a tramp; sings a song to himself in the mirror; rushes of to Carnaby Street to buy a tie for the big occasion of his suicideand there the song and stage directions come to an end." So far, Record Collector is the only source of information, as it failed to sell at the auction. Apparently the cassette was sold and offered on eBay in 2005, but it failed to sell as it was pulled after legal interference. Tiny Tim (Bowie): the opening song contains camp lyrics such as "Your friend, he's really rather bona/A cultivated stud, Tim?/You're wearing high drag, but your eyes/Have a teensy weensy sad, dad/I'' keep it mum, dad." Where's The Loo (Bowie): described by Record Collector as "a comic extravanganza for three cockney party-goers". Season Folk (Bowie): described as "ultra-romantic, falling midway between the cynical idealism of 'London Boys' and Bowie's later open-eyed worship of the Warhol-scene". Just a Moment Sir (Bowie): notorious for its lyrics, a dialogue between a tramp and Ernie about the problems of "nig-nogs". Various Times Of Day (Bowie): a suite of songs including 'Early Morning', Noon-Lunchtime' and 'Evening'. Ernie Boy (Bowie): Ernie's dramatic monologue, complete with an ad-libbed intro: "Suicide isn't something I've always wanted to do... I'm not running away, I know who I am". This Is My Day (Bowie): Ernie celebrates his forthcoming self-destruction. Untitled (Bowie): the last, untitled track of the rock opera, has Ernie visiting a Carnaby Street boutique: "Just look at the quality of our shirts/That's not a stain, sir/That's a psychedelic motif." 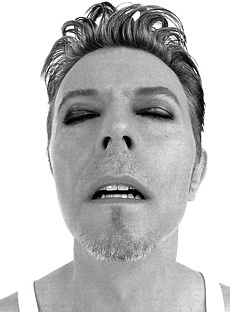 Going Down (Bowie): described by RC as "a long, fragmentary, maybe unfinished song". Love You Till Tuesday (Bowie): the familiar demo. Click the icon to listen! Over The Wall We Go (Bowie): also available on acetate, this song to found its way to fans. Click the icon to listen!